Wars, political power struggles, coups, oppression – humans have an infinite capacity to inflict suffering on other humans, squashing their dignity, spirit and the capacity to live their lives freely. It has been like this since the earliest times. Some will stop at nothing in their greed for power, and remain blind to the misery of others. But persecution, tyranny and brutality often also engender some truly fine literature, music and art. Great art is often born in the vacuum of war or repression. With events in Zimbabwe one of the dominant news stories of the week, we thought it timely to have a brief look at three creative works stemming from political power plays and repression, and how such works can lift the spirits of the oppressed and feed the collective soul. First to Zimbabwe, currently in the spotlight, and award-winning novelist Shimmer Chinodya (born 1957). Chinodya’s 1989 book Harvest of Thorns is set during the revolution that put an end to white minority rule in Rhodesia, the revolution that set Robert Mugabe up as president of the new nation of Zimbabwe. That period is known as the Zimbabwean War of Liberation or the Rhodesian Bush War and for 15 years between 1964 and 1979, three separate forces vied for dominance: the white minority government, the Zimbabwe African National Union led by Mugabe, and the Zimbabwe People’s Revolutionary Army. The latter two groups wanted to install black majority rule and cut ties to Britain which had essentially run the show since 1890. It was a time of great violence, the government resorting to the use of chemical weapons and martial law. Reports suggest that more than 20,000 people were killed during this period. Harvest of Thorns tells the story of a young man’s transition to adulthood during this conflict. Benjamin is a young guerrilla who joins the revolution and gets the education of a lifetime. In some harrowing episodes, Chinodya details the abominable treatment of blacks, the stark brutality of war and Benjamin’s search for personal identity. By the end of the book, Benjamin hopes for a better life for his family and his country, but there’s no sentimentality here: there’s a huge blood price for victory – families have been torn apart and lives are shattered forever. Born from a wider struggle, this is a powerful book written by a sensitive writer and it deserves to have a wider audience outside Africa. Chinodya’s 1989 book ‘Harvest of Thorns’ is set during the revolution that put an end to white minority rule in Rhodesia, the revolution that set Robert Mugabe up as president of the new nation of Zimbabwe. Much has been written about the brilliant twentieth-century composer Dmitri Shostakovich (1906-1975), both lauded and vilified by the Soviet regime. Shostakovich lived through the bloody Bolshevik Revolution, the savage Stalinist purges where untold numbers of Russians, intellectuals, in particular, were either imprisoned or murdered, or both, and World War II. Between 1928 and 1941, almost eight million Russians were killed for political reasons. Upheaval and uncertainty were integral elements of life in Soviet Russia. Everyone is sure to know the story that following Stalin’s disapproval of his opera Lady Macbeth of Mtsensk, the composer took to sleeping on the landing outside his apartment so that his family wouldn’t be disturbed when the authorities came to arrest him. That didn’t eventuate, but Shostakovich was always looking over his shoulder in case his work was deemed politically incorrect. But let’s move away from this aspect of the period and onto World War II. In September 1941, German troops surrounded the city of Leningrad (now St Petersburg), thus beginning a siege that lasted two and a half years. It was a brutal time, the Nazis depriving Leningrad of essential supplies. The Russian winter is bitter beyond belief and just a few months into the siege, the heating had been turned off. People froze to death, dying in their homes and also outside where their bodies were left in the streets. Water pipes cracked and burst leaving people without drinking water. Food was scarce. People resorted to peeling wallpaper from the walls and sucking on the adhesive paste in the hope of gaining some nutrition; pets became dinner, and there were even cases of cannibalism. The Germans relentlessly attacked the besieged city, the inhabitants far too weak to effectively fight back. Over 600,000 people died during the Siege of Leningrad. 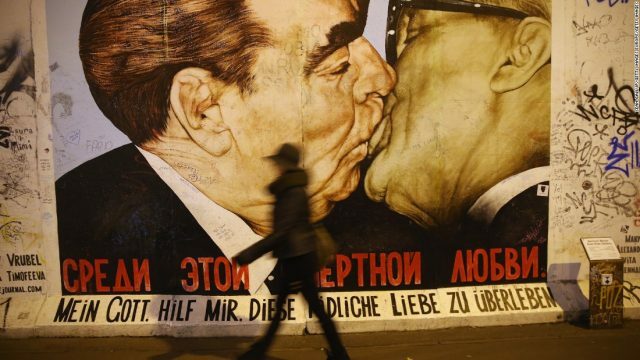 Stalin was bad enough, but Russians were united in their desire to rid themselves of the Germans. Shostakovich began work on his ambitious seventh symphony (the “Leningrad”), gripped with an intensity to create something to unite and inspire the people of that city. He later commented that the siege of Leningrad was a very productive period for the arts in Russia and also, tellingly, that his colossal seventh Symphony (it goes for around 78 minutes!) was as much about the destruction of Leningrad by Stalin as it was about Hitler. The first performance in 1942 was a triumph of the human spirit. Only 14 members of the orchestra were still alive, half-starved, weak, almost broken. Broadcast on national radio, the music gave hope to the people – keen listeners, they were familiar with Shostakovich’s music. In this work, they could hear stories of bravery and despair, of merciless aggression and suffering, of enforced silences. The music conveys battles and death, but also hope and dare I say a little joy. They understood that the music was about Stalinist Russia as much as it was about rallying Russians against the German invaders. The symphony is a masterpiece, the imagery quite burning. The great cellist Mstislav Rostropovich said that Shostakovich could allow “the victim to smile in his pain”. The first performance in 1942 was a triumph of the human spirit. Only 14 members of the orchestra were still alive, half-starved, weak, almost broken. We’ve had literature and music, now for art. Pablo Picasso (1881-1973) was one of the most innovative, driven and influential artists of the twentieth century. Although he spent most of his life in Paris, he was born in Spain and you can be sure he was well aware of what was going on there in 1936. That was the year Nationalist forces led by Francisco Franco revolted against the Republican government, marking the beginning of the Spanish Civil War (1936-1939). A cruel and vicious time in Spain, Franco ordered purges of his enemies, and government forces were equally bloodthirsty. More than a million people lost their lives and millions more lost limbs, loved ones and liberty. Both the Nationalists and the government sought help from foreign powers, the government appealing to the Soviet Union and the Nationalists requesting arms and other equipment from Germany and Italy. 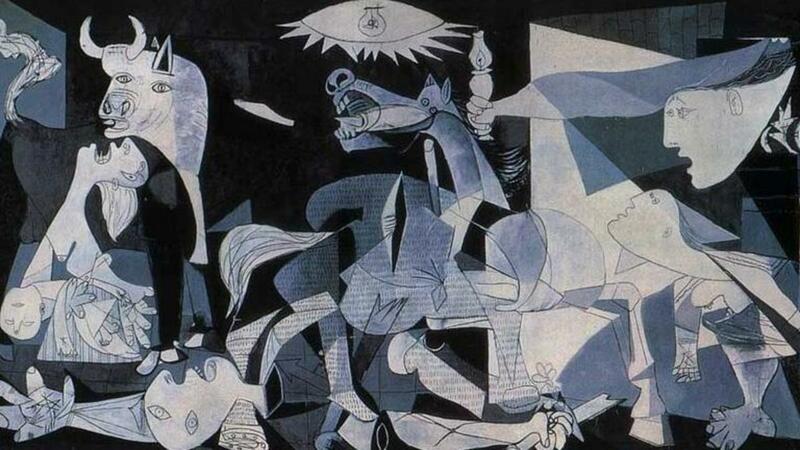 When Germany bombed the town of Guernica in 1937, it was at the request of the government. Such an atrocity to perpetrate on your brothers and sisters. 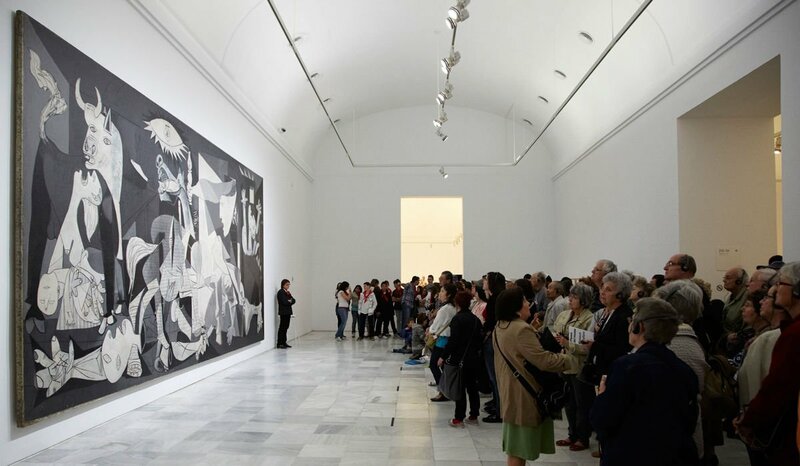 Picasso was horrified at the bombing and set to work on one of his most powerful and well-known works entitled, simply, Guernica. Its surrealistic approach and monochromatic tones inject a real forcefulness into the painting. Without using one drop of red paint to convey bloodshed, the artist unequivocally portrays the spilling of innocent blood, the sheer barbarity and senselessness of war. It’s a mighty work drawn from human suffering. As with any major conflict, any battle for power and glory, it’s always the innocents who are afflicted and who suffer most. Maybe just one thing – being a catalyst for writers, composers and artists to create something good from evil, something to nurture wounded souls and help us come to terms with the myriad effects of unrestrained human belligerence.